After his studies at the Conservatoire in Paris, with a first prize of Cor, he successively won two awards as conductor at the International competitions in Florence (Italy) and Katowice (Poland). Subsequently, Michel Glotz offered him to assist Herbert von Karjan in Berlin and this was decisive for his artistic evolution. He starts as first assistant conductor at the Orchestre National de Lyon then as assistant conductor at the Orchestre National de Lille. He then becomes artistic and musical director of the Orchestre and Opéra National de Montpellier, then artistic and musical director of the Symphonic Orchestra Rhin-Mulhouse and first guest conductor at the Opéra National du Rhin (Strasbourg). A few years later he is permanent conductor and musical adviser at the Opéra de Marseille. He also creates the “Concerts at Sunset” in the Luberon and is since 2012, music director of the Paris Symphonic Orchestra. Cyril Diederich did many recordings notably Meyerbeer’s “Les Huguenots”, Gounod’s “Mireille”, Berlioz’ s”Harold in Italy”, “The Marriage of Blood” by Charles Chayne, ”French melodies” with José Van Dam and “French operas arias” with Françoise Pollet. 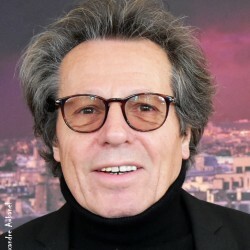 Cyril Diederich has received the prize for musical Revelation of the Year awarded by the ensemble of French music critics.